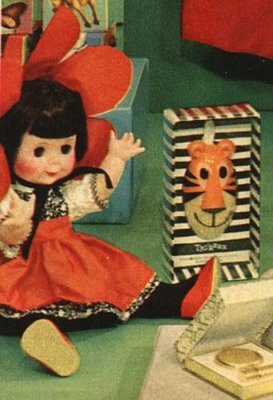 Kitschy Kitschy Coo: Thursday Thirteen: Hello, 1964! 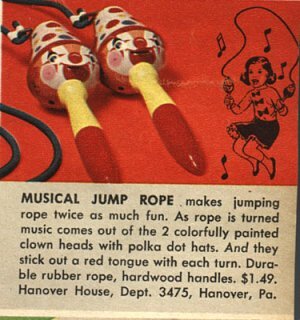 #1 Musical Jump Rope with clown head handles?! No matter how fast you skip and run, those clowns follow you! #4 Vicks: Where huffing begins. 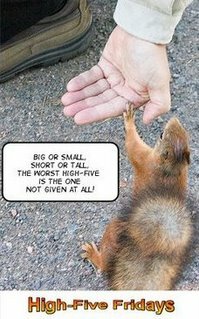 #5 & 6 For those that believe in the separation of Church & State, 15 Religious Figures and 35 Presidential Statues -- each with their own display. 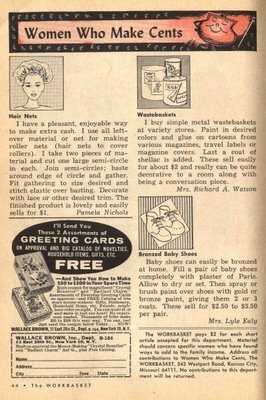 #7 Arthur Godfrey says Tintex takes the guesswork out of fabric dying. Now that you've seen the ad, let's talk. 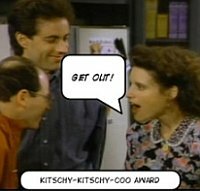 What's the deal with this celeb endorsement? Was Godfrey a big ol' butch male crafter -- the Rosey Grier of his time? #8 Black Eyed Suzie Flowerkins. I saw her live on stage at CBGB's. #9 & 10 In an issue of Workbasket we find Women Who Make Cents. Some ingenious gal gives away her secrets for making money by using her left over netting to make hair nets. I'd say selling her business idea to the magazine for $2 is more money than she ever made or would have made from the sale of hair nets, no matter what decade. Fill a pair of baby shoes completely with plaster of Paris. Allow to dry or set. Then spray with gold or bronze paint, giving them 2 or 3 coats. Then sell for $2.50 to $3.50 per pair. OK, I won't argue the cost v. profit ratio (I'm too lazy to research the cost of baby shoes, plaster of Paris and paint in 1964), but isn't the point of bronzing baby booties to both preserve your own child's booties (memories) and to actually bronze them? #11 If you can't see the bleach container for the pig and actually need instructions and a pattern to make Pretty Priscilla, perhaps you've moved from huffing Vicks to snorting Clorox. 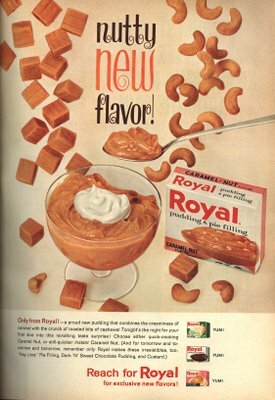 #12 Royal made a "nutty new flavor" in 1964 -- "a proud new pudding that combines the creaminess of caramel with the crunch of toasted bits of cashews!" B) like me, few desired crunchy pudding. My-T-Fine pudding pushed a pudding and pantyhose promo. I'm at a bit of a loss here because hubby keeps me to the PG-13 rule, but naturally, when I hear of pudding and pantyhose I think of a control-top -- and a breathable cotton crotch. The ad mentions neither. 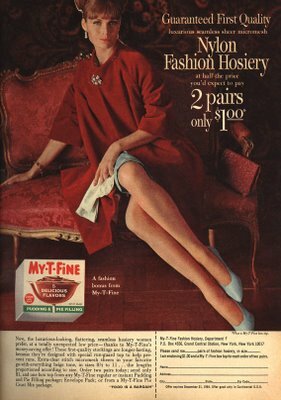 Nor does it actually state pantyhose, but rather reads "nylon fashion hosiery." Not that pudding in my stockings sounds much better. ...But now I'm treading on the too-thin PG-13 ice. I don't want to skate the issue; he makes me. You, however, may play with "pudding" and "ladies' hosiery" and "My-T-Fine" and see what you come up with. The most fun TT in all the land, as usual. 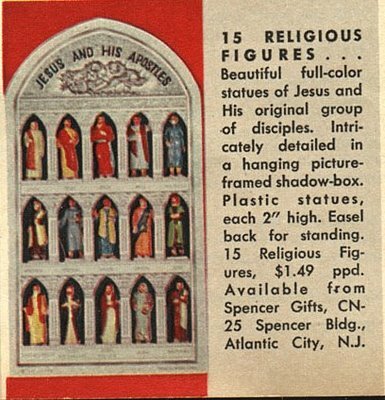 Gotta get me those 15 Religious figures! I was a junior in high school in 64. Thanks for stopping by BrainFreeze and viewing the grand kids. Wait. You're going to let ME loose with all those pudding/pantyhose prompts??? And yes, these characters came from my head. Okay, one or two were influenced by people I know in real life -- professions or names -- but by and large, I've created them. Long story why I do it this way. you forgot the biggest rule of women. deny deny deny your age! ;-) lol I've started already. I can't wait to see what Susan at West of Mars comes up with with the My-T-Fine pudding pantyhose combo. Happy TT. Wow, those are ridiculous and somewhat frightening. I love the presidential figures the best I think. I can only imagine the joy I'd get at having my very own mini James K. Polk! I thought all I'd remember from 1964 was the Beatles, but I was wrong. I had those presidents! I wanted to bury JFK in the back yard but my mother wouldn't allow it. (I wasn't macabre, I was 6) Thanks for visiting my TT. 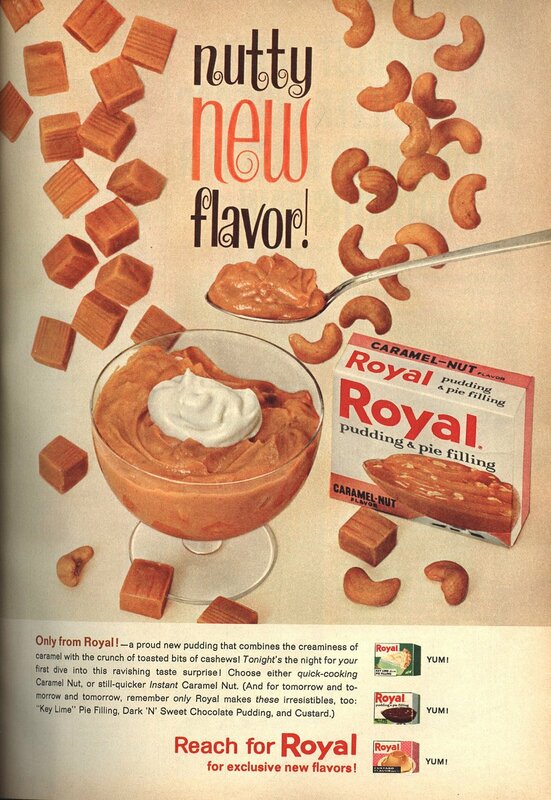 Crunchy pudding would be like crunchy egg salad... And neither any variety of pudding, nor the egg salad, belongs in hosiery. 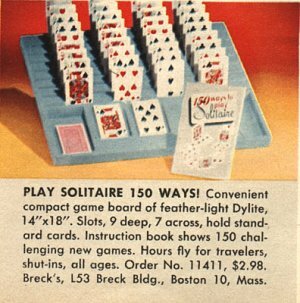 I wonder how many people who bought those solitaire things used them for long, before going back to simply laying their cards flat. Oh my gosh I just got a set of those president statues and I have been trying to figure out when and where they came from!!! Too cool to find them on your site!